Mama Mia! 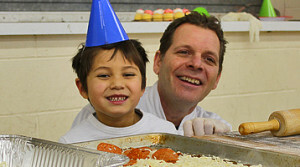 Our students at Joyful Noise became budding chefs today, when a special guest, a local pizza master, invited the kids to participate in creating their very own pizza. 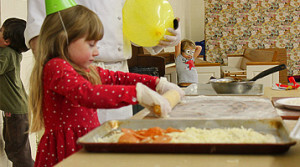 After applying their choice of toppings, the pizzas were baked in the kitchen and served. What a creative (and tasty) introduction to food preparation!